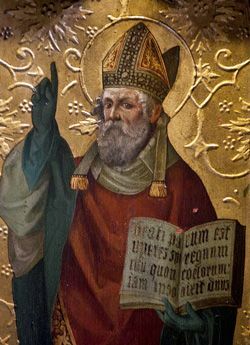 St Paulinus was an Italian monk sent by Pope Gregory to bring Christianity to the then pagan Anglo-Saxons of England. In 604, St Paulinus arrived in Kent and by 627, was appointed the first Bishop of York. His conversion success is unclear but his foundation work certainly helped others to advance the cause. St Paulinus died in Rochester and was buried in Rochester Cathedral. Following his death, he was greatly revered and many Shrines and Churches were built in his honour. St Paulinus’ Feast Day is the 10th October. Pray that we will strive to share our faith with others through our daily actions and prayers.